Earlier this month, we both realized our third wedding anniversary was creeping up on us. We may not be romantic, but we do like to celebrate our two anniversaries (when we first started dating and when we got married) with expensive dinners and lots of alcohol since every other day of the year we are fairly cheap and always deprive ourselves of lavish restaurant dining. A romantic opportunity had arrived though as our travel plans perfectly landed our anniversary during the time we’d be in Paris, considered one of the world’s most romantic cities. Personally, I think it’s too large a city to really be all that romantic and could list a dozen better choices. But Auston and I were long overdue for a sweet gesture and seized this moment anyway. Our friend Nate was visiting us at the time and had suggested visiting the Pont des Arts in Paris, a pedestrian only bridge crossing the Seine River. I had heard of the bridge before and coincidently just watched the movie “Now You See Me” in which the bridge is in one of the final scenes. It was built as the first metal bridge in Paris during the early 19th century though the current bridge was reconstructed in the 1980s. 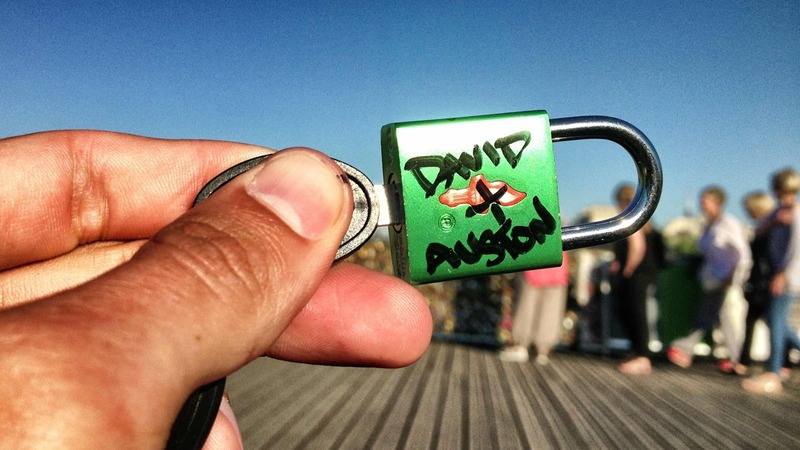 For couples, the romantic tradition goes that you lock a padlock on the railing of the bridge with your names and/or dates. 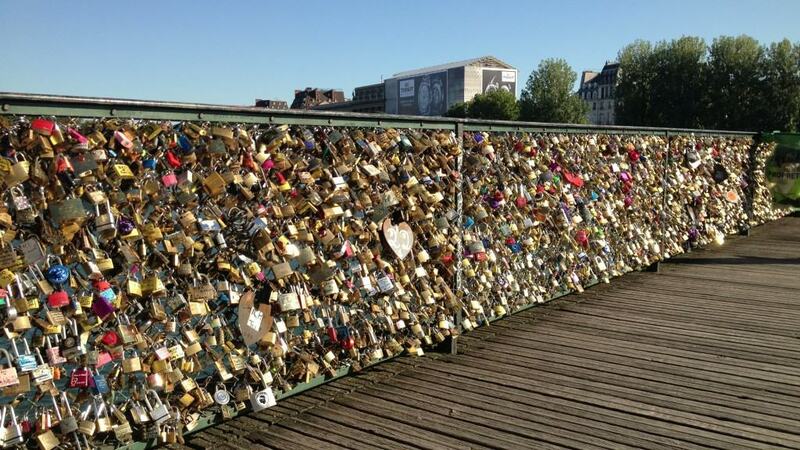 Then you throw the key into the river as a symbol of your never ending love. This tradition isn’t unique to this bridge alone though as it can be seen in various places all over Paris and around other parts of the globe too. Still, for Paris this is unofficially the official spot. 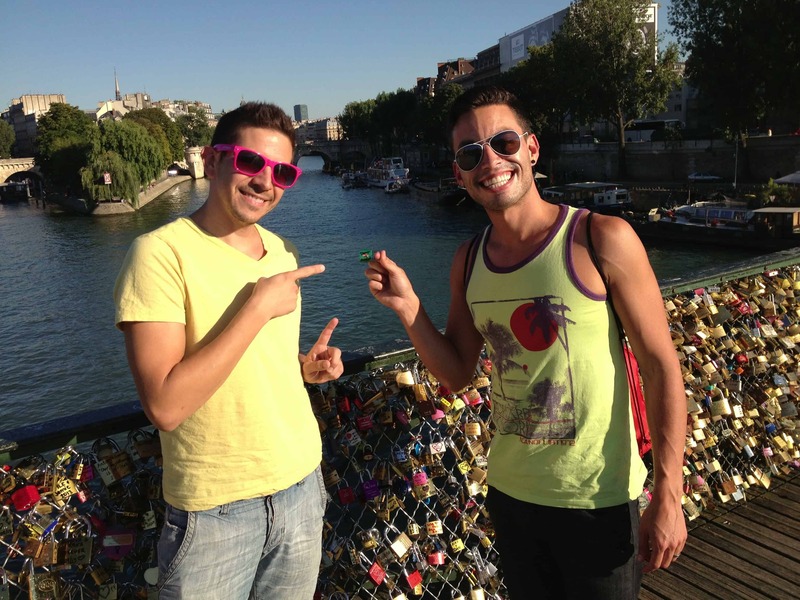 Though these love locks have been cut off in the past and city officials and even some Parisians are apparently not fond of the gesture, we said “to hell with that” and wanted to partake for our anniversary. It’s silly and cute so why not?! 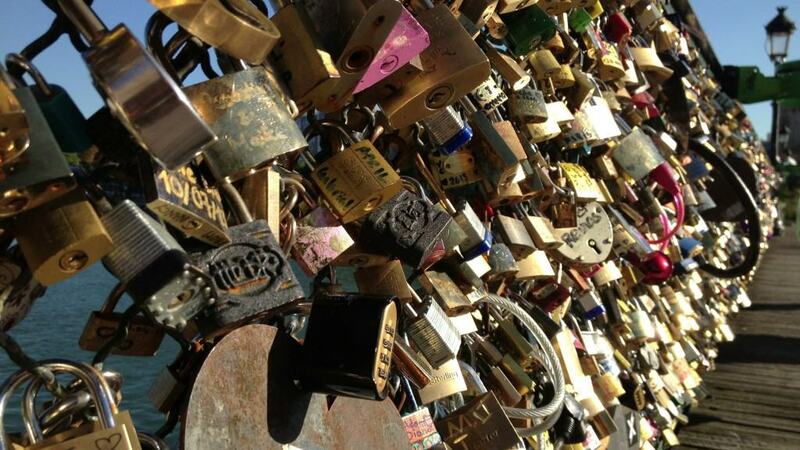 We locked our padlock, tossed the keys, and relaxed in the evening sun with a bottle of champagne. It was quick and easy, but probably by far one of the most typically romantic things we’ve done. It was Paris after all. Why not let go and get caught up in all the romantic hype? The timing felt perfect. 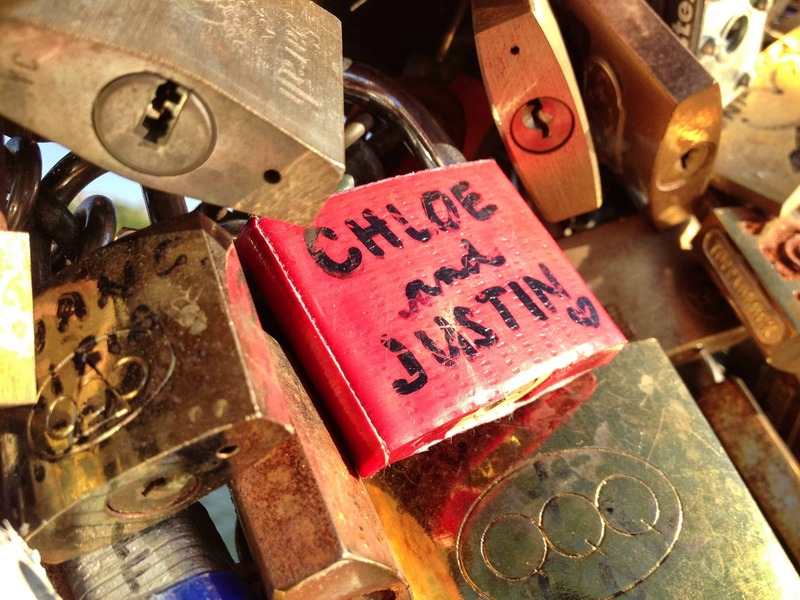 However, I think the most romantic gesture a couple could do with a lovelock would be to pick a spot memorable and special to just the two of them and secretly put a lock around there. It’s more true to the couple and less likely to be taken down if concealed well. Perhaps we’ll have to do that for our next anniversary. What’s the most romantic city you’ve been to? Is Paris as romantic as it gets? Share with us in the comments! It’s not easy, but we try. I found your blog when I researching information for obtaining a long-stay visa for France. I loved that post and found it very helpful. Today, when came back to share that post with a friend I ran across this post. I can’t express my disappointment enough in your decision to vandalize a beautiful and historic Paris Landmark. I encourage you to read up on this subject, apologize for what you’ve done and the sign the petition to help stop this senseless destruction.